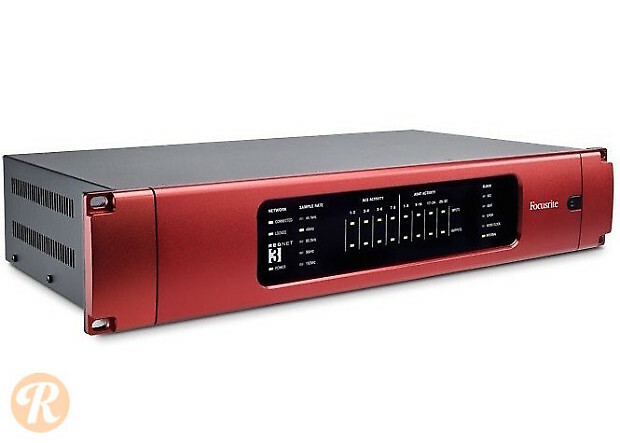 The Focusrite RedNet 3 is a remote-controlled, networkable digital audio interface with I/O via AES, optical, and SPDIF. A single ethernet cable connects the RedNet 3 to a Dante network for digital audio transfer and remote control. 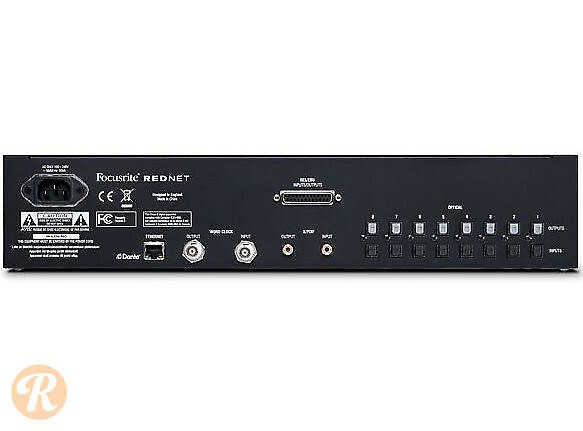 It can also connect via RedNet PCIe card, or to Pro Tools HD via RedNet 5.